In this chapter, we describe a fast statistical yield analysis methodology for memory design. At the heart of its engine is a mixture importance sampling-based methodology which comprises a uniform sampling stage and an importance sampling stage. 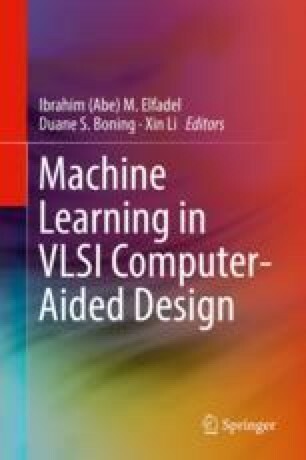 Logistic regression-based machine learning techniques are employed for modeling the circuit response and speeding up the importance sample points simulations. To avoid overfitting, we rely on a cross-validation-based regularization framework for ordered feature selection. The methodology is comprehensive and computationally efficient. We demonstrate the methodology on an industrial state-of-the-art 14 nm FinFET SRAM design with write-assist circuitry. The results corroborate well with hardware and with the fully circuit-simulation-based approach. The authors would like to thank the Maroun Semaan Faculty of Engineering and Architecture at the American University of Beirut for supporting Ph.D. student Miss Lama Shaer.